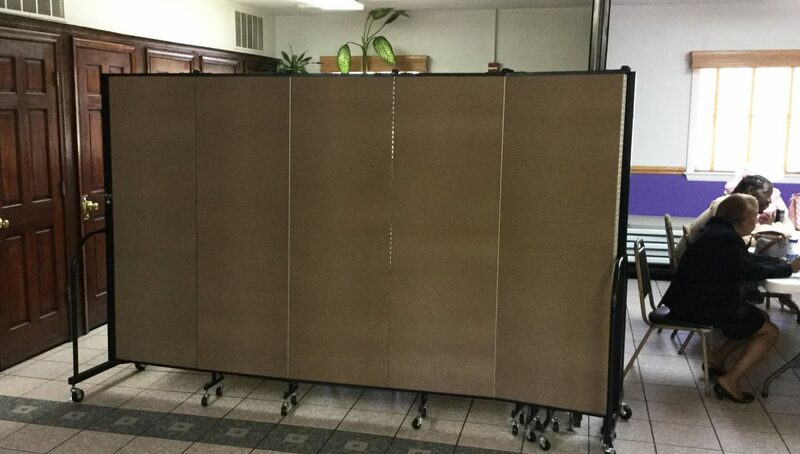 Uses: Bible Study, Church, Community Center, Fellowship Hall, Religious Colors: Browns/Tan/Beige Lengths: 5 panel 9'-5" Heights: 6'-0"
As the congregation of the Tenth Street Baptist Church in Washington, DC grew, so did their need for storage. To maintain the integrity of this historic building they chose to use a folding room divider as a simple and cost-effective solution to their needs, instead of construction. The room divider arrived fully-assembled and ready to use. The ministry team worked with the Screenflex sales team to choose the right sized room divider and color for their space. Our free design consultation service ensured the correct length divider was purchased.